In Tamil Nadu we have three main fruits we say it as,Ma(Mango),Pala(Jack fruit).Vazhai(Banana). Raw varieties of these three fruit are used in cooking.It is perfectly made to blend with wonderful spices as result with delicious curry in their meals.Unripe Jackfruit or Baby Jack fruit is used mainly for curry type dishes in India and South east Asia,we get plenty of this vegetable during summer season. 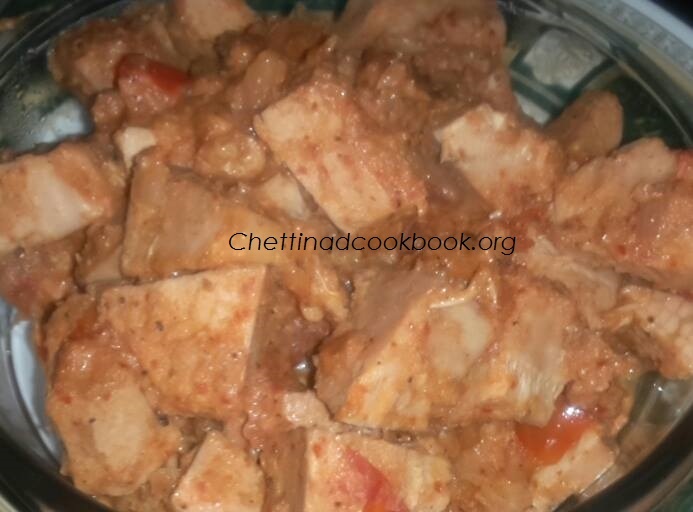 It is also famous in Chettinad region, variety of dishes can be made out of Raw Jack fruit like Poriyal, Podimas, Perattal,Sothi, Kuruma ,Koottu and even in kootukkai Kuzhambu made during Pongal festival. 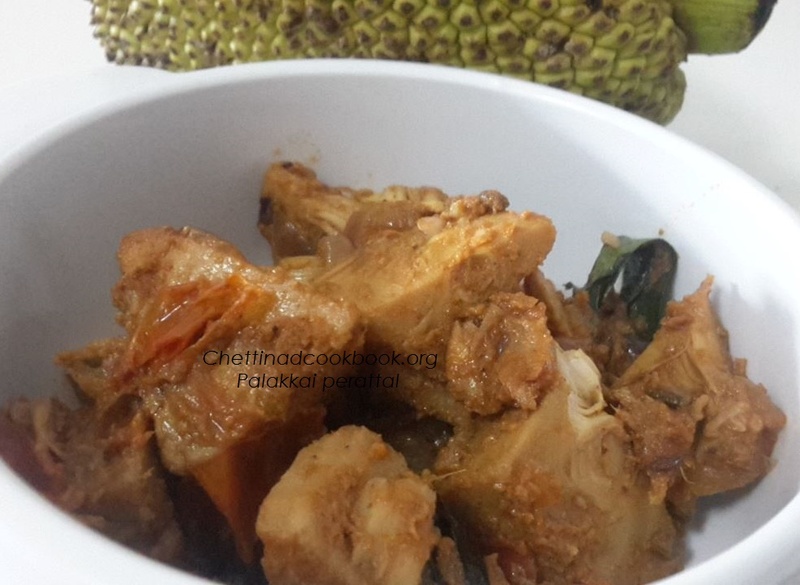 Raw jack fruit is really great in taste,but patients needed to cut this raw jack fruit.I love Raw jack fruit recipe, I want to share my mothers recipe which I used to enjoy always.We can feel the taste of mutton in baby jack fruit, so we say this be can replaced for mutton. 1.Peel skin and cube cut jack fruit drop it in to the water to avoid discolouration. 2.Boil in a pressure pan with salt and turmeric powder for 1 whistle. 3.Grind the given ingredients above to a smooth paste by adding little water. 5.Add Tomato,curry leaves and 1/2 tsp of salt saute well, add cooked palakkai, masala powder and ground paste, cook in medium flame for 5 minutes. 6.when the masala gets cooked well and coated with the vegetable switch off and serve with rice and roti. 1.Add 1/2 tsp of water while sautéing ginger garlic paste to avoid burning paste. 3.Drop cut palakkai in water mixed with 1 tsp of butter milk to retain its original colour.